I am in the concrete business because I grew up in the concrete business. I started helping my father in his concrete business in 1979 when I was 16. 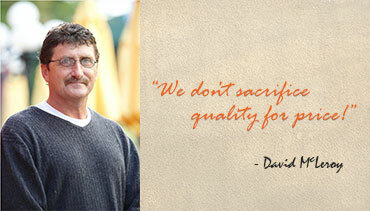 My dad taught me the value of quality workmanship and to always take care of customers. To this day those values ring true in each and every project we complete. The job is not complete and we are not satisfied until the customer owner is! 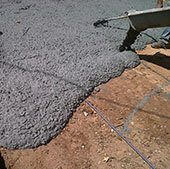 We are a professional, fully insured and licensed Atlanta Concrete Contractor. Our crews have extensive experience and take pride in delivering skilled craftsmanship to your business that you will be proud of. Our commitment to quality workmanship and to using the best quality driveway materials available ensure a hassle-free solution to your next driveway replacement project. 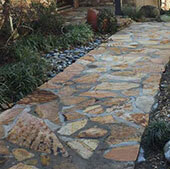 Decorative concrete designs are the hot new trend around the industry and can add style, value and curb appeal. Our advanced concrete tools, combined with decorative designs and patterns allow numerous options including stamped and stained concrete. 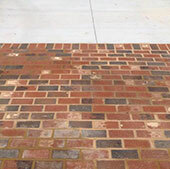 Add a welcoming touch to any driveway, walkway or entry with custom brick inlays. 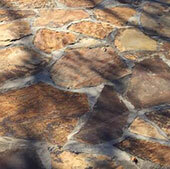 We offer a wide selection of colors and styles to complement any home or business. Our custom stone inlay solutions provide a durable surface while adding the touch of elegance to fit the look and feel you are looking for. Local and import stones cut from slabs ranging from slate to flagstone give a distinctive look to any driveway or walkway. 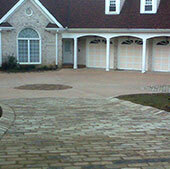 We offer a variety of solutions when planning walkways and entrances to your home or business. Many stones and finishes are available. Our top quality workmanship provides a finish that will serve you for years to come. Custom decks and patios add beautiful usable space to any home. 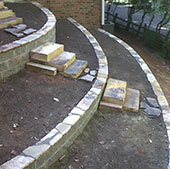 We offer on grade and terraced solutions to transform your unused area into an oasis hospitality, gardening or curb appeal. ©2015 Concrete Replacement Specialists, Inc.